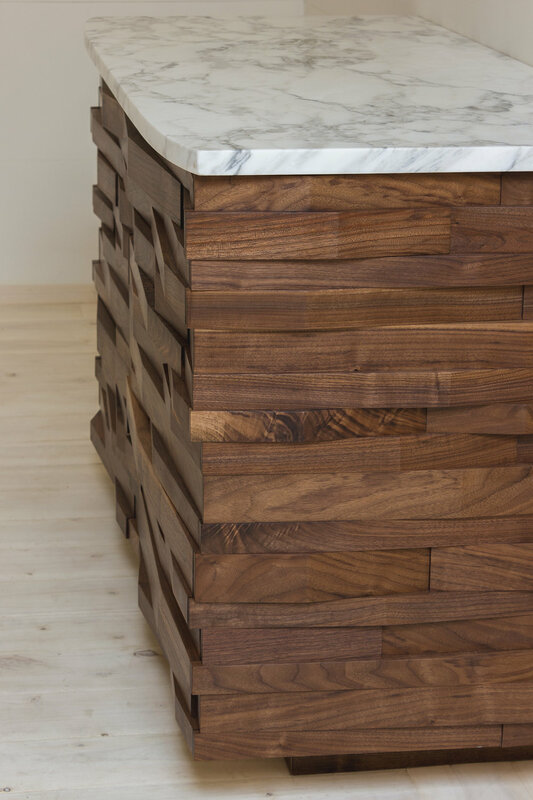 From our years of designing furniture, we desired to bring a new perspective to the world of cabinetry. From this place we wanted to bring the refinement and elegance that furniture carries to kitchens and bathrooms. 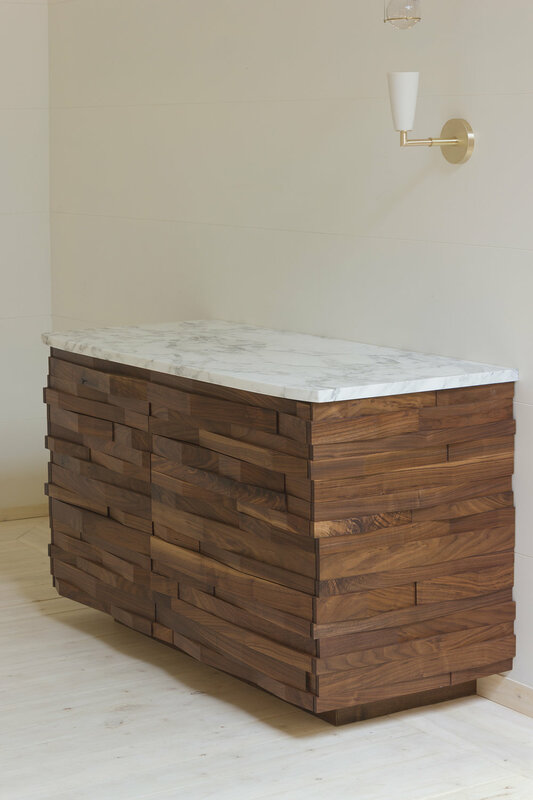 This design brings texture and beauty to this most basic form. 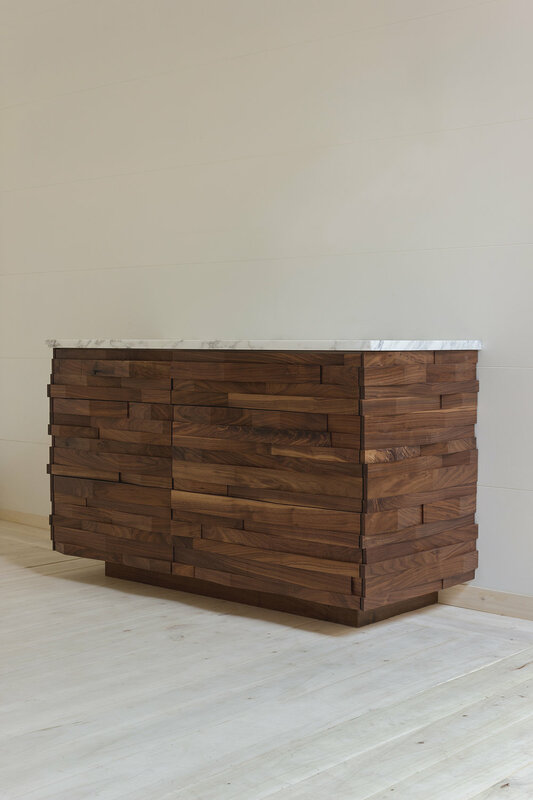 Each piece of wood is hand selected and arranged, making each cabinet unique. With integrated pulls, the drawers are seamless and have a continuous feel.